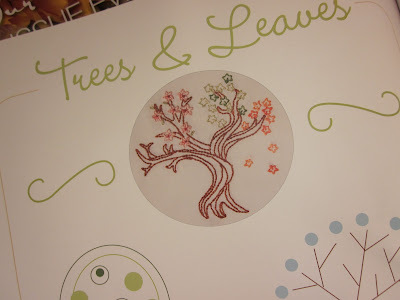 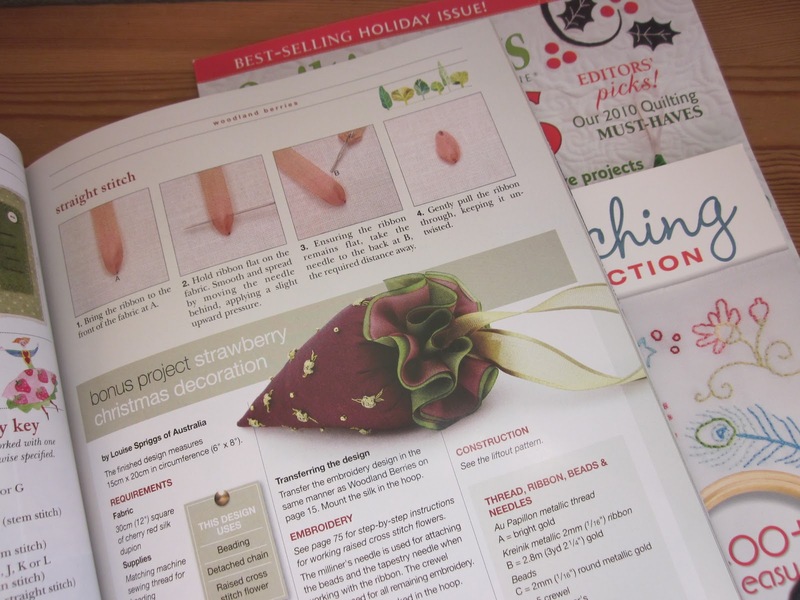 Adventures in Stitching: Is it too early to think about Christmas ornaments? Is it too early to think about Christmas ornaments? 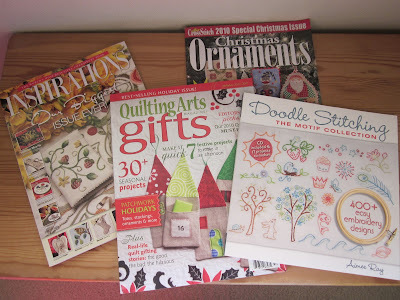 These all came in the mail over the last week or so...I get the Just Cross Stitch Christmas Ornament Issue every year, even though I don't always stitch anything from it. 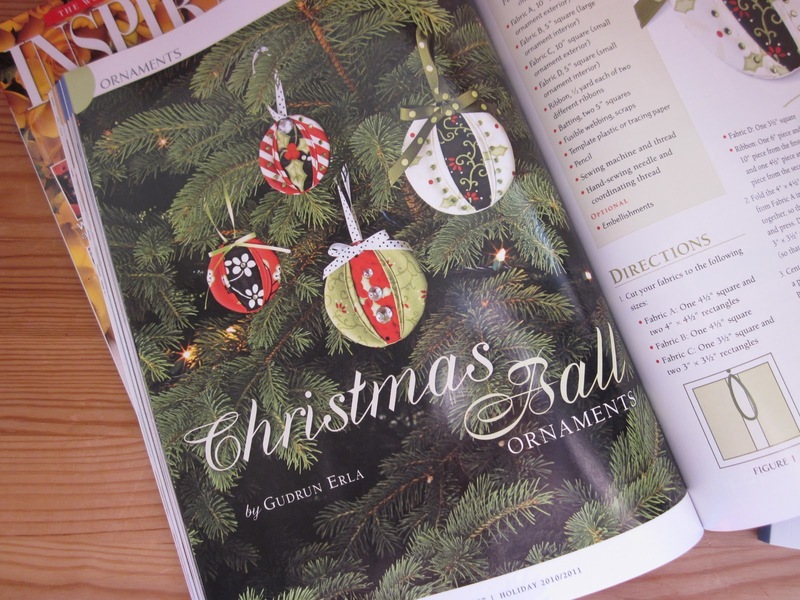 It's publication is more like a sign that fall is here and that permission is granted to start thinking about fall and Christmas decorating. In this year's issue, I really like the ornaments by Rosewood Manor, Plum Street Samplers, Blue Ribbon Designs, and Milady's Needle. I'll ask the kids which ones they like best and we'll see if any actually get stitched. 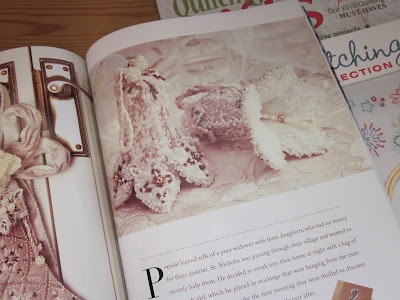 These pretty little things and the crewelwork on the cover are what I really want to try. Thinking realistically though I think I can manage just that red strawberry-- dear daughter of course has decided I should make the heavily beaded silk Christmas stocking you can see peeking left of the white beaded bells. Isn't she funny.